wayid msawya roo7ich raqya wa kashkha .. shno 3shan t3rfeen cham kilma bl english la wil moshkila il grammer and spelling is absolutley awfull . winti mino aslan ?? la floos walla markaz walla asal wala shay . la w sha7ata 3l fathi mahktha wa7id bdwi 7atan m3nda floos 7ag kabatat. nas fathya 3shan darsa lit ya3ni kilish raqya ...shal mojtama3 ili a minimum of effort ykhle il wa7id y7is ina she's princess diana !! please is7ay wa bala sha7ata shayfa roo7ich 3l badow madri shako ?? shno bint il khrafi !?!? Anonymous: Ili titkalimain 3anha a7san minich oo min 3ashra min amthalich. 3al aqal bint mitrabya oo a5laqha 3aliya moo wa7da tafha mithlich. Ykoon ib 3ilmich ilwa7da a9ilha ma yingas ib floos-ha wila bint mino wila ma5tha mino. il nas a9eelin ib a5laqhom oo tarbiyat-hom oo ib mo3amalat-hom ma3a ilnas. Min kalamich imbayin inich wayid mi'3tara ib 3omrich. 9ej ma3arfich but reading ur comment am thinking madri 3ala shino..? second: anonymous lo feeha/fee khair mayaktib "anonymous" i7e6 isma aw isimha lakin yadri ina kalama ghala6. oo ba3dain shino ya3ni bint il khrafi?? laish itha ihya min hal 3ayla ma3nata she's perfect? ma3a i7tirami! il nas mo fee isimha, ihya fi akhlaq'ha. 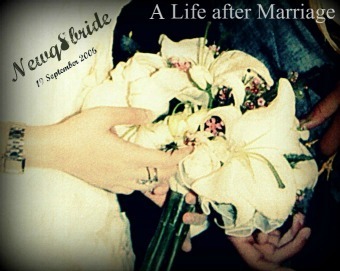 oo the best thing about new bride is that she DOESNT pretend wila iteshai7a6. ihya sadqa oo saree7a ib kil shay oo taktib about her REAL LIFE. oo just because she started a new life that she is not used to, mo ma3nata inha shayfa nafs'ha. if u cant accept ppl's writing, then dont read blogs! 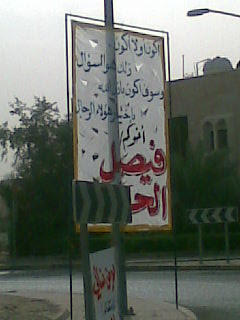 wallah sakhafa, 6arar witeshara6.